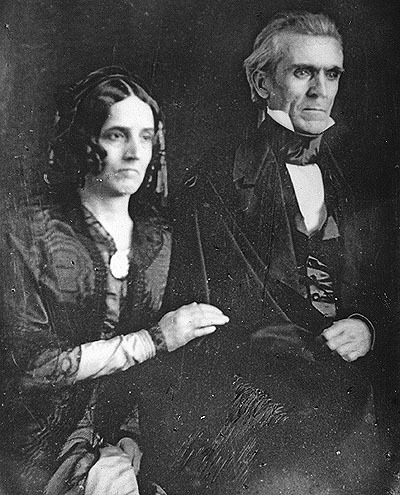 James Polk, born on November 2, 1795, is believed to have been introduced to 11-year-old Sarah Childress in 1814 or 1815, when he was a classmate of Sarah’s brother. She and Polk renewed their acquaintance in 1819 and entered into a courtship. Although details from the time are largely unknown, one rumor has it that their matchmaker was Andrew Jackson, who as president brought down the Second Bank of the United States. Four years after meeting, in 1824, James and Sarah Polk married on New Year’s Day. Mark E. Byrnes, James K. Polk: A Biographical Companion (Santa Barbara: ABC-CLIO, 2001). This entry was posted in Uncategorized and tagged Culture by Ronald Grey. Bookmark the permalink. Thank you for writing with such a nice compliment!